"I want to know how you are able to avoid the sensing powers of the Purgatory Token? How can you hide your life magnetic field? And how did you enter this forbidden place?" Shi Yan stood firmly by the stream. Although he remained alert, he looked nonchalant. Shi Yan didn't think that this old man would attack him for the second time. He could tell that the old man should understand now. Indeed, he didn't dare attack anymore. Like Shi Yan, the old man calmed down eventually. "What you want to know is related to this stone." While talking, he took out a cube-shaped stone from his sleeve. That stone had some patterns that looked like natural drawings or formations. It held magical energy that made the patterns move and shimmer. The old man bared his teeth in a broad smile. He threw the stone at the ground. "Try it again." Shi Yan sent a wisp of Soul Consciousness into the Purgatory Token. Magically, the life magnetic of the old man was visible in the Purgatory Token. The token was even able to precisely sense the strength of his life energy. Shi Yan's eyes brightened, studying the cube stone. He said with astonishment, "This stone can cut off the sensing of the Purgatory Token and keep my Soul Consciousness from detecting you?" "Yes," the old man smiled arrogantly. He quickly picked up the cube stone. "With this gem, the contestants in the Extreme Purgatory Field can't find me with their Purgatory Token. With this gem, I can enter ninety-nine forbidden places of the Extreme Purgatory Field easily without worrying about the barriers." The cube stone disappeared into his sleeve. Shi Yan's sensing did not work again. He couldn't use the Purgatory Token to lock the old man. Although they were standing face to face, his Soul Consciousness couldn't sense the living fluctuations of this old fella. This cube stone seemed to be able to hide the G.o.d Soul and the soul altar. It was a marvelous device. "Where did you get it?" Shi Yan was curious. "Hehehe, I can't tell you. I can only say that there are several stones like this. Except for me, the others who keep this stone are all the craziest prisoners of the Extreme Purgatory Field. After partic.i.p.ating in the Extreme Purgatory Field for several times, we agreed to keep this a secret. Even the owner of the divine nation Du Tian Ji doesn't know about it." The old man grinned. "It is also why I've joined the Extreme Purgatory Field five times but remained alive. If I encounter someone I can't fight, I hide in the forbidden places." Shi Yan's eyes brightened. He nodded, "No wonder. Seems like you've had good encounters in the Extreme Purgatory Field. You said there are ninety-nine forbidden places like this place. Do they all have layers of barriers?" "Yes, ninety-nine in total. I guess they are the formation eyes and the key nodes that contain the Extreme Purgatory Field. The existences of the ninety-nine forbidden lands maintain the balance and the magical effect of the Extreme Purgatory Field. Only while holding this square stone can you get in there safely." The old man gazed at him, his eyes bizarre. "It is shocking that you were able to get in here. How? As far as I've known, even I, at the Third Sky of King G.o.d Realm, can't get through such complicated barriers without this cube stone." "I can't tell you either," Shi Yan beamed a faint smile. "Everyone has his own secrets. If you don't want to talk much, neither will I." "Fine. Now, I will take you somewhere." The old man pondered for a while then smiled. "Perhaps you will like it. Oh right, I'm Jiang Ge. You?" "Come with me. I'll take you there." The old man named Jiang Ge didn't bother with the blood stains on his body. He became more excited, walking quickly through the cottage to another place deeper inside the valley. Shi Yan didn't linger. He nodded and followed him quietly. Flowers bloomed everywhere in this valley, gra.s.s also present in the entire area. Water murmured. Fish swam. The whole place was peaceful and harmonious like a fairyland. No matter how hard people could imagine, they would never picture a wonderful place like this in the b.l.o.o.d.y Extreme Purgatory Field. The forbidden lands were intimidatingly dangerous, but they also hid a different world. Jiang Ge looked very familiar with this place. While walking deep into the valley, he explained, "Just like me, those who have the same cube stones occupy their own territory. Yeah, they're the forbidden places. Five out of the ninety-nine forbidden places are actually wonderful. You will see soon." Shi Yan listened to him attentively before asking, "If you stayed in the forbidden land of the Extreme Purgatory Field after three years of b.l.o.o.d.y training, will people be able to detect you?" Jiang Ge turned around, laughing. "What do you think?." "People out there can't find you, can they?" Shi Yan replied uncertainly. "Of course not. I'm being honest. After each time I used my forbidden territory, I always got out. However, the four others who hold the territory of the four wonderful forbidden places have never left. They stay in the forbidden lands all the time. The owner of the divine nation deemed them dead. He doesn't know that they've survived and lived a better life. Since I have something to do, I have to go out. The other four consider the forbidden lands their home. They no longer want to leave." Jiang Ge didn't turn to see him. He explained before walking away. Shi Yan's eyes sparkled strangely, amazed at what he was hearing. If what this old man said was true, there were four other people like him in the Extreme Purgatory Field with the cube stones. Despite the fact that the lands were harsh, they have stayed in Extreme Purgatory Field for a long time. Age and realms for the other four were probably not normal. They must all be tough characters. Since they got the cube stones, even Du Tian Ji couldn't find them or know their situations. Although they can dodge the Purgatory Token's sensing, why did they stay for several hundred years in the Extreme Purgatory Field? Soon, he realized the answer. Jiang Ge suddenly stopped, pointing at the end of the valley and shouted, "Here we are." Shi Yan stopped walking. At first glance, he was dumbstruck. It was a grand palace. Stood between the two mountains at the end of the valley was a grand palace. The high mountain that jutted up to the sky provided shade for this palace. Thick clouds hovered above the palace like water ink that blocked light and didn't disperse. The grand palace radiated immense divine light. It looked like this palace was made of gold, jade, and gemstone It was tall and pleasing to the eyes. Stone pillars stood in the center, supporting the palace. This scenery looked exactly like what you would find in a fairyland..
At this moment, they were standing next to the nearest pillar which could even shield the whole sky. Lifting up their heads to look at the palace, they felt so small. Magical energy fluctuations diffused from time to time from the foundation pillar of the palace. They rippled out like magnificent waves. Each wave had at least dozens of layers, and each layer was a magical barrier. They were all mysterious and conveyed the might of Nature, which silenced them in awe. Instinctively, Shi Yan wanted to go in. Jiang Ge shouted all of a sudden. "Watch out!" Shi Yan halted, turning around to look at him with astonishment. "Those rippling waves can easily take your life away. I've been here for so many years but I can't dissolve it. You shouldn't take risks, alright?" Jiang Ge grinned bizarrely. "The other four's situations aren't different from mine. They also have a grand palace like this in their forbidden places. Do you get why they aren't trying to leave so quickly now?" "Because of this palace?" Shi Yan was surprised. Nodding, Jiang Ge's face was solemn. "I can tell you that the five palaces in the Extreme Purgatory Field should belong the five previous Imperial Masters of the Dark Firmament Divine Nation. Du Tian Ji might know about this, but it is not certain. The former Imperial Masters hid something from the owner of the divine nation. That is why they didn't let him know about the mysteries of this place. I don't know what they hid in there, but I'm sure that these palaces have something. The other four also believe the same thing. They aren't hurrying to leave because they want to discover this secret." Shi Yan discolored in fright. "If I didn't have a reason, I would never leave this place. I would break the defense there and get into the palace to see what's in there." Jiang Ge's face was serious. "Kid, I brought you here to tell you that. If you give me a Purgatory Token, I will give you the cube stone. Although I can't make it, I think you can. I can't wait here any longer. I need to leave. Just consider this an exchange. I'm sure you won't bear a loss." "You got the cube stone but you can't get in there?" Shi Yan didn't agree immediately. He was still suspicious. "That stone can only bring me through the barriers of the forbidden place. I can't get in the palace. I've tried many times. My knowledge and power aren't enough to solve this problem. Perhaps, my realm isn't enough," Jiang Ge forced a smile. "You have the Third Sky of King G.o.d Realm cultivation base and you can't do anything. Why do you think I can?" Shi Yan burst out laughing, shaking his head. "I won't be fooled. You don't want to fight but you want to keep me in this place for the rest of my life. You want to use a secret to bind me. Good plan!" "Don't you want to know what is in there?" Jiang Ge frowned. "I do. But I don't want to do things in vain. I don't want my efforts to be in vain by wasting time in this place where even birds don't want to p.o.o.p." Shi Yan shook his head. "Birds don't even p.o.o.p?" Jiang Ge didn't know whether to cry or smile. "Kid, you don't know your fortune." "Why did you say so?" "Once the three years of the training in the Extreme Purgatory Field ends, the sensitive feelings towards earth and heaven powers will disappear. Why only three years? Because they can only hold it for three years. No more. After three years, the Extreme Purgatory Field will be like other places. It won't be able to offer a.s.sistance to warriors and their realms. Ninety-four out of the ninety-nine forbidden areas will be the same. The energy there will disappear. However, the five forbidden areas with the palaces won't disappear. The sensitive sensing of natural energy will remain here forever!" Jiang Ge shouted. Shi Yan was shaken. He finally understood the heavy conditions that this old man offered him. 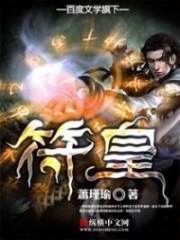 You're Read God Of Slaughter Chapter 790 online at NovelOnlineFull.com. You can use the follow function to bookmark your favorite novel ( Only for registered users ). If you find any errors ( can't read,broken links, can't load photos, etc.. ), Please let us know so we can fix it as soon as possible. And when you start a conversation or debate about a certain topic with other people, please do not offend them just because you don't like their opinions. You're reading God Of Slaughter. This manga has been translated by Updating. Author(s): Ni Cang Tian,逆蒼天. Already has 2644 views. Current Time is 23-Apr-2019 10:10:18 AM.